It’s still January so I’m not late. I’ve been “sitting” on this word for a while… all month actually. Which is ironic, isn’t it? 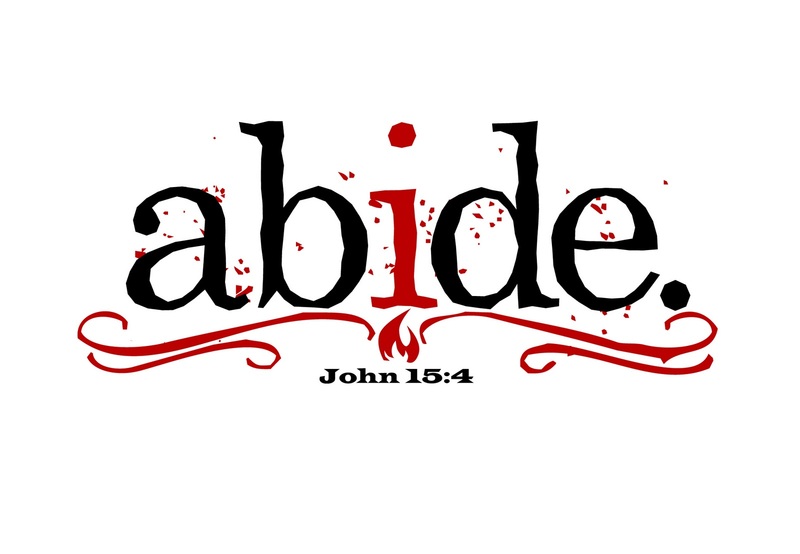 Well, even if you miss the irony… this word, abide, struck me softly but poignantly while sitting in church recently. Our pastor must have said it in the first couple minutes of his message… and it leapt at me. To wait for. To endure. To continue. To remain. Abide in me, and I in you. As the branch cannot bear fruit by itself, unless it abides in the vine, neither can you, unless you abide in me. I am the vine; you are the branches. Whoever abides in me and I in him, he it is that bears much fruit, for apart from me you can do nothing…As the Father has loved me, so have I loved you. Abide in my love. And wondered how I could abide in Christ. What does that mean? How do you live in Him? I can come up with some great sounding Sunday-school answers. And they might even be true. But the Behavior Analyst that I am, I wanted to know more. The hows. The whys. The practicality of it all. So I looked it up in Greek. Yep. Meno (μένω) – to endure, continue, dwell, remain, stand. Persistent loyalty of continuing in a thing. Endure, continue, dwell, remain, and stand in me, and I in you. As the branch cannot bear fruit by itself, unless it remains in the vine, neither can you, unless you remain in me. I am the vine; you are the branches. Whoever persists loyally in continuing in me and I in him, he it is that bears much fruit, for apart from me you can do nothing…As the Father has loved me, so have I loved you. Dwell in my love. And perhaps the purpose of this as my 2013 theme word is not just about my learning yet to grow where I lack… but to accept His abiding power and promise in my own life. I can do nothing apart from Him. Without His abiding power at work in my everything… my hard work and efforts will amount to nothing. He is intentional in his loyalty to me as my Savior and Father. This loyalty is proactive and persistent. It will be known. The love shared among the triune God is perfect, pure, and stronger than any force… and it is with that same love that He loves us. I can make my “home” and dwelling within this love… which is not based on feeling or experience alone… but the perfect trust that comes from the security of knowing the power within which I reside. My gratitude compels me to respond with this same kind of intense persistent loyalty to stick with Him… no matter through what I must endure. Abiding is far more than crawling into a spiritual cave of coziness, nestled up among the fluffy comforters and pillows and warm-fuzzies and calling that home. An unwavering promise to take up residence on the rocky shores of this commitment, come wind and rain and waves. He’s at my side, trudging through the mud of my off-road adventures, whacking at the weeds of my garden, walking the end of the line with me… lovingly committed to a persistent loyalty in remaining with me. So here is to 2013!